Medical Malpractice Help » Medical Malpractice Causes » Legal Information » Do Most Medical Malpractice Cases Settle Or Do They Go To Trial? Millions of dollars get paid out in medical malpractice claims each year, but not all of that money is awarded at trial. If you suspect medical malpractice caused you harm, you may be considering taking legal action. In these instances, many victims of medical negligence wonder: Do medical malpractice cases settle or do they go to trial? Not all medical malpractice claims lead to litigation. Those that do involve a lawsuit do not always make it to a final verdict. Some cases that end in a trial verdict actually favor the physician or healthcare provider, not the patient. In many cases, it is advantageous to try to negotiate a settlement before trial. No guarantee exists that you will get a larger award at trial, and as many claimants have discovered, you might not win at all. If you suffered an injury due to a doctor or healthcare provider’s negligence, you might have a valid medical malpractice claim. It can be difficult to know whether to accept an out-of-court settlement or take your case all the way to trial, hoping for a favorable verdict. A medical malpractice lawyer can evaluate your case and help you chart the best way forward. 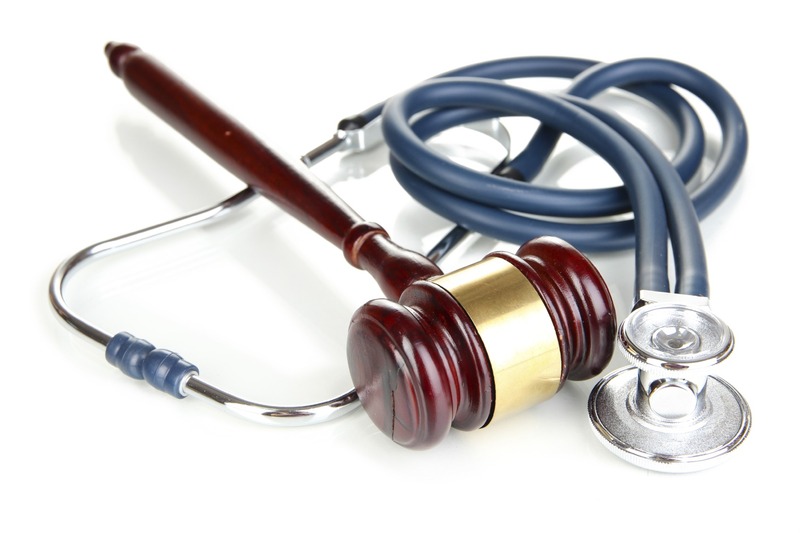 At Medical Malpractice Help, our attorneys focus on this area of law. We help injured patients across the United States protect their rights and pursue the fair compensation they deserve. If you believe your doctor or another healthcare provider committed malpractice, we want to talk to you. To schedule a free consultation, call us at 1-855-MED-ASKS. Is It Always Better to Go to Trial? This is a difficult question to answer because every case is different. Once you settle out of court, the trial process ends, so you do not know what you would have received had you fought the case all the way to a trial verdict. It is possible that you could have recovered more money with a verdict, but it is perhaps just as likely that you would have gotten less at trial or lost your case. A 2012 study that looked at medical malpractice trials between 2002 and 2005 found that, while more than half of these cases went to trial, 79.6 percent of verdicts favored the physician or healthcare provider, not the patient. A different study from 2013 revealed that the average medical malpractice trial verdict in favor of the patient exceeded $1 million, while the average out-of-court settlement was $425,000. These figures suggest that a cost-benefit analysis is in order. If you go to trial and win, the verdict might be much higher than the amount you can recover with a settlement. However, four out of five patients lose their medical malpractice lawsuit at trial. To win compensation, your claim needs to be thorough and compelling. Your attorney can help you make that call. Should I Avoid the Risk and Not Go to Trial? Often, the doctor or healthcare provider you are suing wishes to avoid a protracted legal process, even if they feel they have a strong chance of winning. For this reason, they might be agreeable to settling out of court. If the other party offers a settlement, the chance is good that the offer will be for significantly less than the amount you are seeking in court. From there, a negotiation process begins. Your attorney will try to get the highest amount possible, while the other side tries to keep the settlement low. The negotiation skills of your attorney matter a lot here. The Medical Malpractice Help team has handled many of these cases. We know how to aggressively pursue fair compensation for our clients. The 2013 study offers another piece of data that might make you reconsider seeking a trial verdict: It can take between three and five years to get a verdict in your case. In contrast, your attorney can often complete the out-of-court settlement process much faster. Many victims opt for a settlement over a trial because, once the other party offers a settlement, it is guaranteed money. A trial verdict—even with strong evidence—does not always favor the patient. Our attorneys can examine your case and explain your best options for compensation. We will go over the typical medical malpractice timeline with you so you can make an informed choice about your next steps. Call 1-855-MED-ASKS to Speak With a Medical Malpractice Attorney and Schedule a Free Case Evaluation. At Medical Malpractice Help, our attorneys want to help you win the compensation you deserve. We will evaluate your medical malpractice claim and provide you with options on how to pursue it. We can also help you decide whether to seek an out-of-court settlement or go to trial. To schedule a free consultation, call 1-855-MED-ASKS today.